Concert photography can be one of the most rewarding and frustrating experiences you can have as a photographer. These days it is very difficult to even get a camera into a concert venue. Most venues now do not allow photography during any live performances, and the only people who are allowed to bring cameras are those working and photographing for the venue, the band, or a promoter. Getting permission to photograph usually requires you to contact the band’s publicity company and request a photo pass. Another method is to contact the venue and inquire if it allows photography for the show you are interested in photographing. If you do have permission to photograph, it is usually only for a very short time — between one minute and three songs. One of the exceptions to this rule is the band Steel Pulse. They don’t have any restrictions on photography. 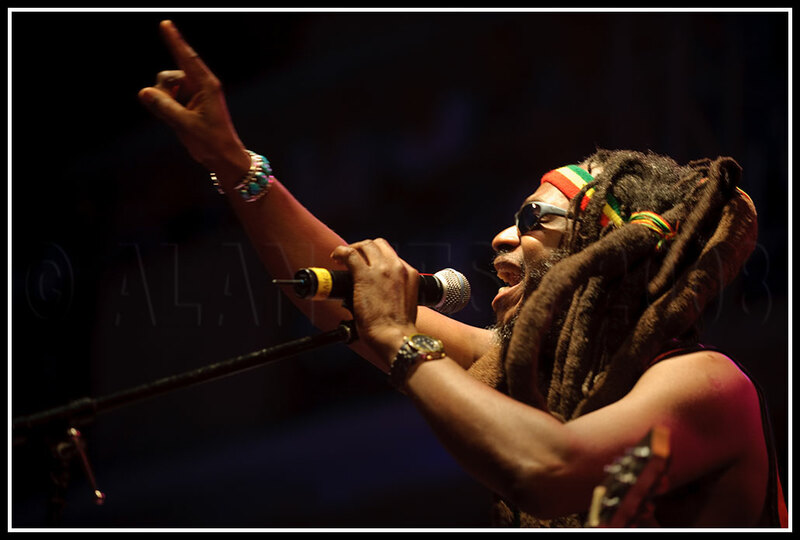 They recently played at the Del Mar racetrack after the last race as part of the 2008 Del Mar Summer Concert Series. 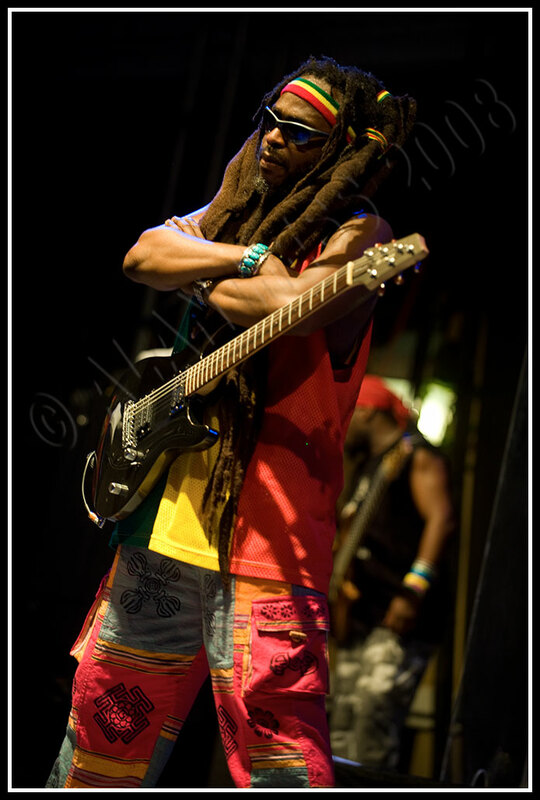 I am lucky enough to have a great working relationship with Steel Pulse and took this opportunity to photograph them for the second time this summer. The full galley from the show is HERE. Practice without a flash. Most bands, venues, and promoters do not allow flash photography to be used, even if you have credentials to shoot the show. It is better to learn how to get the correct exposure without relying on a flash. Know your gear and where it is packed. When shooting in a dark club or arena, it is important to be able to change settings, lenses, and memory cards without fumbling around. Knowing where you put the extra batteries and memory cards in your bag can save you a couple precious minutes. Protect your health and hearing. Shooting loud music close to the stage can result in hearing loss. I keep a set of earplugs in my camera bag for the times when I am close to the stage. Pay attention to your surroundings. If you are lucky enough to photograph from the front of the stage or the stage itself, make sure you stay out of the way of the working crew. There is no quicker way to get your credentials removed than by getting in the way of the folks putting on the show. Go to the venue early. It is best to get to the venue early enough to secure your credentials if you have any; and if you don’t, the earlier you get there, the closer you can get to the stage. It pays to be polite. It is important to remember that people are there to hear the band and enjoy themselves, not watch a photographer. Try not to cause other concertgoers any problems because security will have no problem asking you to leave.